Welcome to Porsche Club of America – Golden Empire Region! Golden Empire Region is proudly serving Bakersfield and the Southern San Joaquin Valley of California. 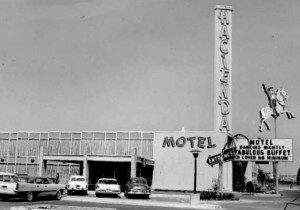 The Golden Empire Region (GEM) Porsche Club of America was founded in 1979 in Bakersfield, at the now historically demolished Hacienda Motel which was located on Union Ave. 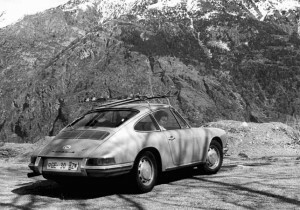 In early 1979, Mr. Bill Profeta ran across an ad for the Porsche Club of America and then contacted officials to find out about starting a local club here, in Bakersfield. 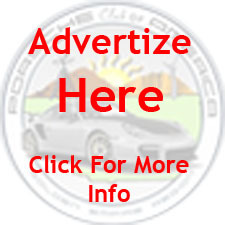 He then placed an ad in the Bakersfield Californian to invite all local Porsche owners and enthusiasts for a gathering to form the new PCA region at the Hacienda Motel. To get people excited, there were a several Porsches displayed in the main ballroom, including Dr. Bender’s 930 Turbo. In September of 1979, there were 25 members of this little group to be sanctioned as a new PCA charter, and Mr. Bill Profeta was appointed to be the charter president for the first 6 months. The group enjoyed autocross events, gymkhanas, and social events. In fact, club’s first event was an autocross in the parking lot next to the hotel! A couple of those original members are still active in the club today. They are Greg Fullmer and Mark Manda. Through the great contributions, participation, and the collective dedication of many members that have joined since its inception, Golden Empire Region became thriving and successful organization and is now recognized as “the little region that could” throughout PCA Zone 8 and PCA national. Through a number of GEM’s charity events, including Autocross, Concours d’Elegance, club raffles, and multiple driving tours, we have supported our primary charity — the MARE Foundation (http://mareridingcenter.com). From the very beginning, Golden Empire emerged a group of Porsche enthusiasts that could meet and not only appreciate one another’s automotive dreams, but gather to create a family of friends that could share their passion for the Porsche cars. We are proud to be members of this region and look forward to the continued support of our dedicated Board Members and the region members to make our region one of the most dynamic and fun groups in PCA Zone 8.